KUALA LUMPUR: Come August, the newly-built Malaysian International Trade and Exhibition Centre (MITEC) will host eight events for the 2017 Kuala Lumpur SEA Games. 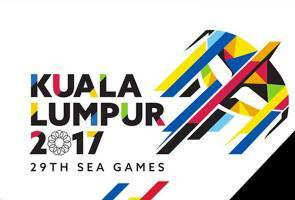 2017 Kuala Lumpur Secretariat Chief Operating Officer, Shaiful Suhbhan said besides SEA Games, seven sports would also be contested at the same venue for the 2017 Para ASEAN Games. The sports which will be contested here for the SEA Games are artistic gymnastics and gimrama, fencing, table-tennis, volleyball, weightlifting, indoor hockey, muay thai and boxing, while the Para ASEAN Games involves boccia, chess, goalball, table tennis, powerlifting, sitting volleyball and wheelchair basketball. "Based on what we see during the site visit today, we are happy with the progress of the construction works and are positive that everything will be completed by June," Shaiful told reporters after the site visit to the venue today. He said that pre-test event was expected to be conducted by mid-year. "The construction for MITEC is almost completed except for a few touch-ups to accommodate the sporting event," he added. MITEC, which is the second largest sporting hub for the event is the first component of Naza TTDI Sdn Bhd's RM20 billion KL Metropolis development project. The exhibition centre, which can accommodate 40,000 visitors at a time will have a total of 11 exhibition halls and a gross floor area of one million square feet. The main venue for the 2017 SEA Games will be the Kuala Lumpur Sports City in Bukit Jalil, followed by MITEC, Kuala Lumpur Convention Centre (KLCC) and Putrajaya.